It’s kind of just like another social media site, complete with profiles, commenting, and event scheduling. The main difference is that Meetup focuses on the niche — both topically and geographically. Users can create “meet up groups” and invite those who are interested in certain topics to join. The creator of the group is then responsible for organizing a “meet up”. The meet up can be in person or over the internet, using GoToMeeting or something like that. It Gets Your Clients Too! One of WebMechanix’s most recent clients actually called us because they saw me on Meetup. She said that she noticed I was an active member of the a Baltimore SEO group and since she was in the market for SEO, she decided to give us a call. Awesome? Can You Tell What I Like? I just realized that you can easily tell what I’m into just be reading the group names… hahaha — Maybe I should join some skiing and tennis groups to round out the heavily weighted Internet Marketint Business groups! 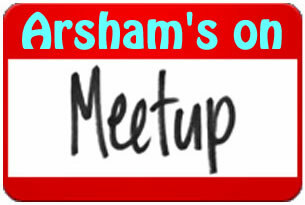 That’s all for now – check out http://www.meetup.com – hope to see you out there!